Outdoor advertising works 24 hours a day, seven days a week. Big, bold, creative outdoor displays in an uncluttered environment build brand recognition and drive customer traffic. Billboards simply work harder and deliver more value for your advertising dollar. Let our marketing professionals work with you to craft a message that impacts today's highly mobile consumers and creates an awareness of your business and what makes you unique. 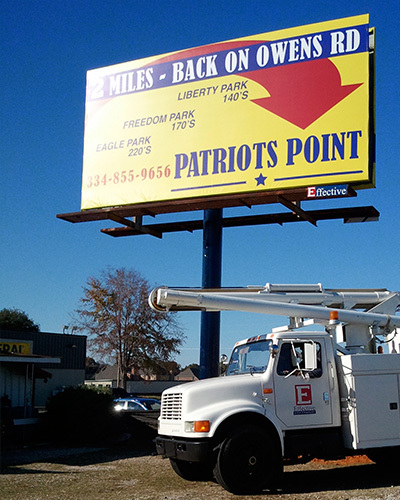 We promise that EFFECTIVE Outdoor Advertising, llc will work as hard as you do.